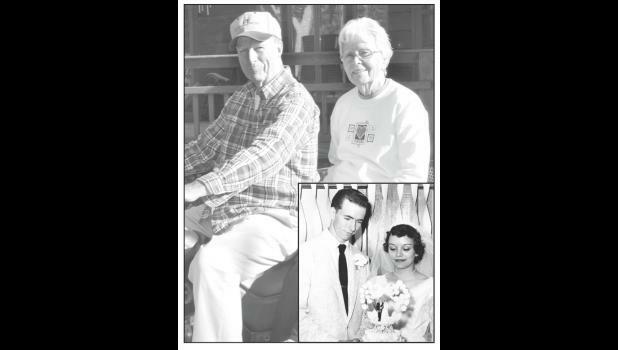 Orville and Melba Dodson of Onaga will celebrate their 60th wedding anniversary on Friday, June 2. Orville Dodson and Melba Wallisch were married June 2, 1957 at the Denison Union Church. They were blessed with two sons, Lyndall and his wife, Karen, of Kearney, Mo. and Daryl and his wife, Gina, of Liberal, Mo. The couple has five grandchildren, Chris and his wife, Sarah; Stephen, Katie, Mandy and her husband, Zac; and Kori. They also have two great-grandsons, Charlie Dodson and Tanner Short. They will celebrate with a private family gathering and dinner.